The Czech studio Amanita Design, known for games like Samorost and Chuchel, has a new project in the works. The game, titled Creaks, is an upcoming side-scrolling platforming puzzle game with a much grittier design than their normal work. The company is known for their charming point-and-click games, but this new game looks to be an outlier from the company’s normal games. The aesthetics of Creaks looks similar to their other games, with their lushly designed environments and strange creatures, but the world looks a good deal more grim that in something like Chuchel. Whereas that game was a colorful and comical game with Saturday morning cartoon vibes, this game looks to have an actual air of menace to it as the character moves around this mechanical environment. It looks like the kind of world where you can’t walk off your injuries, unlike the slapstick antics that happen in Chuchel. The game is also a departure in genre for Amanita Design. 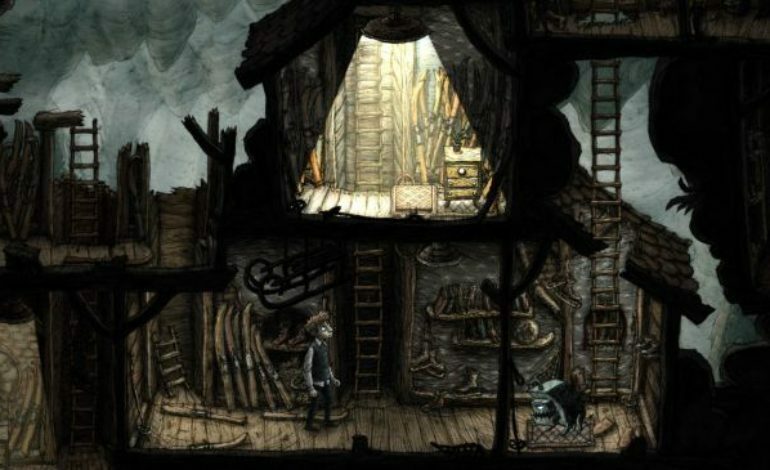 The company’s library generally consists of point-and-click games with lighthearted aesthetics. Creaks looks to have more rigid puzzle-solving that makes use of switches, pressure plates, doors, and ladders. It also looks like the puzzles will make usage of light and darkness in some way. The game looks like a real change in style for Amanita Design, and I’m curious to see if they can pull it off. In the current industry where indie games set themselves apart with eye-catching and unique art styles along with well-polished and sometimes unorthodox gameplay, this game seems to tick all the right boxes for success. Creaks is being developed by a new team in Amanita Designs. The team is headed by artist and designer Radim Jurda, with music by the Scottish composer Joe Acheson, also known as Hidden Orchestra. It currently has no hard release date, but the plan is to release the game sometime in 2019.